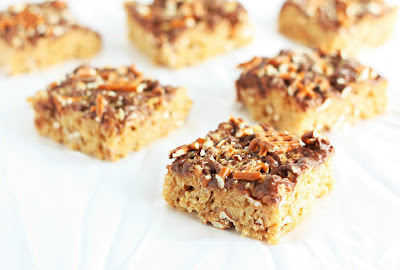 Peanut Butter Pretzel Rice Krispies Treats! Aren’t Rice Krispie Treats one of the greatest treats of all time? Indeed they are, and their possibilities for alternate variations are endless. I have so much fun creating new flavors of Rice Krispie Treats because it’s so simple to do and they are always incredibly easy to make, not to mention how quickly you can be enjoying a flawlessly delicious dessert in no time. 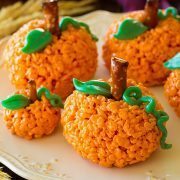 These treats are perfect for snacking or dessert and they are even fancy enough for parties. 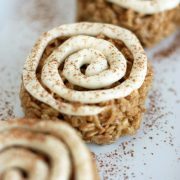 It’s always a delight for people to enjoy a new twist on one of their favorite treats. Can you ever go wrong adding peanut butter to treats and desserts? Then, you add in even more flavor with the slightly salted pretzels, smooth, rich chocolate and a hint of pure vanilla. These are an exciting party for you mouth. They are everything I’d imagine a gourmet candy bar to be. Lets just say, WARNING: Highly addictive. If you love Rice Krispie Treats you may also like to try Sugar Cookie Rice Krispie Treats, Cookie’s and Cream Rice Krispie Treats or Cinnamon Roll Rice Krispie Treats (I’m a Rice Krispie Treat Lover can you tell? =). 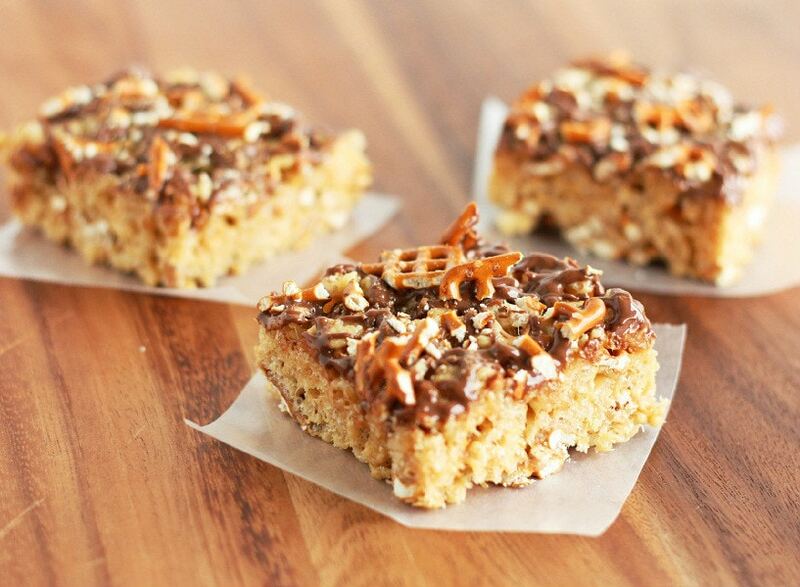 Upgraded rice krispies treats with pretzels, peanut butter and milk chocolate. Everyone will love these! Butter a 9x13 dish, set aside. Melt butter in a large non-stick saucepan over medium-low heat. Stir in marshmallows and cook, stirring constantly until marshmallows have melted. Remove from heat and stir in 1/2 cup peanut butter and vanilla. Pour Rice Krispies Cereal and 1 1/2 cups coarsely crushed pretzel pieces in to melted marshmallow mixture and gently fold mixture until cereal and pretzels are evenly coated. Spread mixture evenly into prepared 9x13 dish and spread into an even layer with a butter spatula. Melt chocolate chips with 2 Tbsp peanut butter in a microwave safe bowl, in 30 second intervals stirring after each interval until melted and smooth. 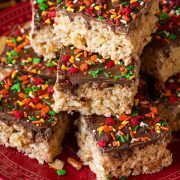 Pour melted chocolate mixture into a piping or ziploc bag, snip the tip of the end and drizzle mixture evenly over Rice Krispie Treats. Sprinkle evenly with 1/4 cup coarsely crushed pretzel pieces, enjoy immediately with melted chocolate topping or cover and refrigerate until set for a set chocolate topping.